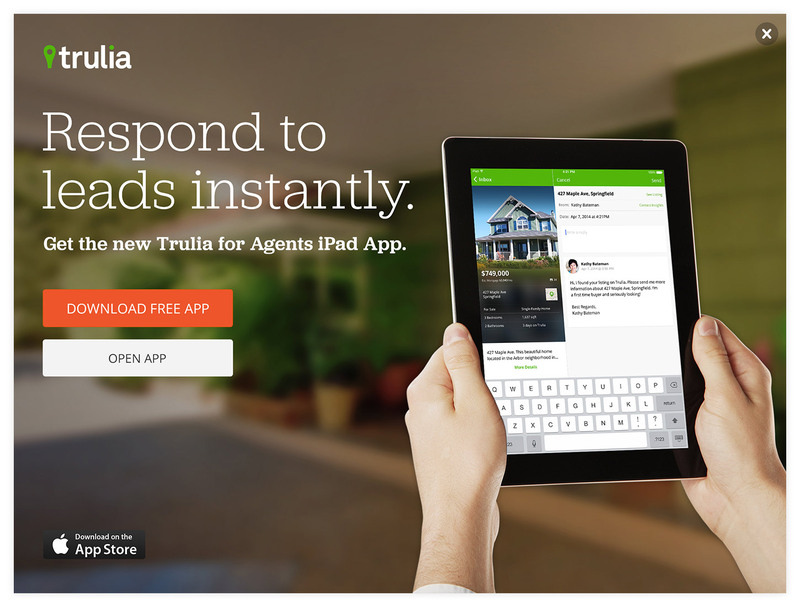 In order to increase downloads to the Trulia agent iPad app an interstitial was created. When agents who are logged into their account go on Trulia.com on their iPad they are prompted to download the app or continue to the mobile site. The visual shows the inbox of the app where leads managed while the successful agent is at a property. The graphic is comprised of three primary images manipulated in Photoshop. The product interface was placed into the iPad with hands and consequently the iPad is superimposed over the property image with a blur applied.